The three sources of potential wealth creation from the development of a country’s natural resources (particularly from mineral and energy resources) are: 1) rents and taxes, 2) beneficiation (1), and 3) upstream and side linkages into the wider economy. In all countries richly endowed with such natural resources, there is an ongoing robust discussion and debate regarding the appropriate policy settings and regulatory frameworks that would maximize their value while, at the same time, minimizing negative consequences (environmental and social) associated with pursuing their exploitation. Through rents and taxes, governments seek a balance between a fair return for the resource owned by the citizenry and held in trust by the governing entity, with their own competitiveness in attracting large scale mining activities vis-à-vis other resource rich countries. Governments do so with varying levels of success. In the current super-cycle of commodity prices there exists an appetite to renegotiate rents and taxes upwards. 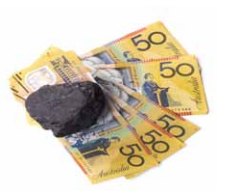 In such mature developed mining economies as Australia, royalty structures at the state level (Western Australia and Queensland) and corporate federal taxation for iron ore and coal producers were recently changed. In the developing countries, there is also a drive for transparency and “inventory taking” of current arrangements, and a desire to create more equitable arrangements going forward. In Ghana, for example, a windfall tax has been introduced along with increases to corporate tax rates and in Burkina Faso royalty rates are now indexed on a sliding scale with higher rates for gold over US$1,000 per ounce (2). Even the best-negotiated contracts – completely honoured – cannot be relied upon to deliver the full potential value of the minerals and hydrocarbons “owned” by the state on behalf of its citizens. In the Australian state of Queensland, for example, state royalties and federal company taxes totalled approximately $8 billion Australian dollars (3) ($3 billion royalties and $5 billion taxes) in 2010/2011. 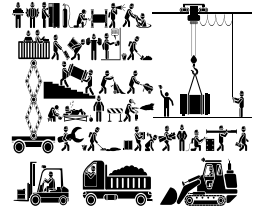 In the same period, industry also had a direct spend in the state of $31 billion ($8.0 billion in wages and salaries to approximately 64,286 fulltime resident employees and $27.9 billion in voluntary community contributions and purchases of goods and services from local businesses including contractors) (4). In other words, when mining is fully integrated into an economy and a skilled workforce is sourced locally with goods and services largely procured from within the jurisdiction, then the economic multipliers are very significant. By contrast, if the majority of support services and goods are procured internationally and the labour workforce is also imported (except for local unskilled labour), then the potential returns to a national economy are greatly diminished – by up to as much as a factor of four. This is underscored by the labour requirements of the extractives industry where only 5% of labour is characterized as lower skilled (see Figure). 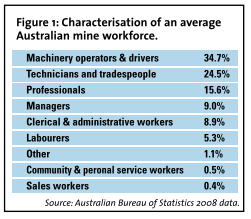 Figure: Characterisation of an average Australian mine workforce. Source: Australian Bureau of Statistics 2008 data (5). Global political rhetoric touts the advantages of local beneficiation, particularly as this approach relates to jobs creation (6). Experience, however, in many mature, resource-rich countries is that these downstream processing industries are very difficult to sustain in a globally competitive economy. Successive Australian attempts to mandate beneficiation through policy mechanisms have for the most part failed, and failed spectacularly. At the same time, market-driven, non-mandated beneficiation (7) does occur, usually determined by the particular market characteristics of a given metal as well as local competitive advantage. Analysis of these industries suggests that the main elements of investment decisions include access to competitively priced energy, abundant water and a skilled workforce underpinned with a world-class research environment (8). Government support in securing land tenure and appropriate zoning and land buffers are also important. What is less important is the location of the ore, because transport costs (port to port) often represent a very small component of the total input cost to a beneficiation process. Thus, the apparent competitive advantage of “owning the natural resource” is quite illusory. This analysis has significant implications for African countries (9), and underscores the need to address the capacity development challenges that have been well identified in the African Mining Vision. While water and energy are potentially available at appropriate prices and volumes (10), the greatest limiting factor to the establishment of beneficiation industries is the lack of presence of a local skilled workforce and associated research support. An additional barrier to beneficiation also exists in the form of current financing models for mining enterprises that require long-term off-take agreements for ore that is then transported to a fully vertically integrated beneficiation value-chain enterprise offshore (11). The African Mining Vision Action Plan (12) clearly identifies opportunities for cross-linkages between the extractives industries and other areas of the economy to create lasting benefit and a more robust and resilient economy. In mature mining economies, such linkages are very strong and often include innovative companies providing materials and services to the extractives industries: from exploration technology; data interpretation; software services; machinery and equipment support innovation in mine processes and management. It is precisely these companies (described as mining technology services and equipment, the MTSE sector) that provide the economic multipliers through indirect employment, which is often cited by mining advocacy groups worldwide. In Australia in 2008, 167,000 people were employed nationally in the mining and oil and gas sector, with the MTSE sector bringing an additional 31,300 employees and $8.7 billion dollars in revenue (13). Analysis of economies that have successfully created significant cross linkages suggests that success is due to the presence of strong policy support and funding through higher education for Science, Technology and Innovation (STI), research and development (R&D) tax concessions, R&D commercialisation incentives, -all with sophisticated capital support structures. One area of direct linkage that is immediately possible in the African context is the nexus between mining industry investments (from small scale to large international entities) and the agricultural sector during all phases of mine life, including exploration, mineral project and supporting infrastructure construction, operations, and post-decommissioning. This can lead to two positive outcomes: 1) the creation of new local markets in the form of a mine workforce coupled with a ‘patient procurement approach’; and 2) the deployment of dual or multi-use infrastructure that creates new supply chain possibilities for agricultural inputs and other market (including export) development. At the present time, many mining operations do not procure from local farmers to feed mining personnel and, instead, source from ‘out of area’ or ‘out of country’ suppliers. A targeted cross-sectoral co-investment in a mutually beneficial agricultural capability will lead to wider economic development, and is a major opportunity in regions with considerably large populations involved in the sector. In 1893 rich gold deposits attracted tens of thousands to Kalgoorlie in Western Australia. On the edge of a desert, 600 km from the coast, Kalgoorlie lacked enough water to serve domestic demand and the requirements of an industry whose technology demanded steam power, evaporation and condensation. Each month, 47 thousand tonnes of firewood were consumed. This level of consumption was unsustainable. Desalination was attempted but proved inadequate. A visionary State engineer, C Y O’Connor, devised a scheme to pump water 600 km from coastal dams. O’Connor insisted against opposition on an “Australian procurement solution”. The chosen company operated a factory in Perth, creating a new suburb to support the endeavour and licensed a patented technology specifically for the project. The pipeline and its technology survive to this day, providing water not only to Kalgoorlie but to the intermediate region. The pipeline, supplemented by a railway and agricultural innovation, has transformed marginal grazing land into one of the world’s most productive wheat growing areas, producing 15 million tonnes in 2011 and exporting 80 per cent of it. An initial investment of 600 million dollars (in today’s terms) has delivered an economic legacy estimated at 50 billion dollars. This example should encourage African countries to more fully explore the nexus between mining and agriculture as a way to deliver structural transformation and to support initiatives such as the Mozambican Beira Agricultural Growth Corridor (BAGC) and the post-mine transformation of the Golden Pride mine in Tanzania into an agricultural precinct. Maximizing the value of a country’s natural resources while minimizing the potential for harm (environmental, social, etc.) on the part of extractives industries continues to be the goal of national and regional governments of countries with significant natural endowments. Considerable policy innovation has been seen in the area of rents and taxes, particularly in the latest commodity price super-cycle. At the present time, opinions still vary as to the success of such mechanisms for creating long-term reliable revenue streams. In parallel, there is a growing realization, particularly in developing nations, that rents and taxes alone will not deliver community expectations with regard to poverty reduction, wealth creation and extraction of the maximum total benefits available from national resource developments. Beneficiation and economic linkage strategies are indispensible components to maximizing benefits. At the same time, neither component is easy to support via policy settings alone. Therefore, long-term commitments, particularly in the area of science, technology, and innovation are indispensible precursors and are neither “cheap” nor “quick”. However the mining-agriculture nexus does represent “low hanging fruit”. It also represents significant employment opportunities and a short-term and effective poverty reduction potential. 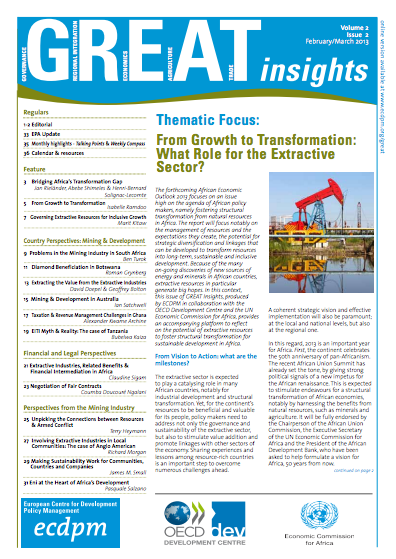 This linkage, while not neglecting the longer-term, is a laudable goal and assists the development of a fully integrated “extractives economy”. David Doepel is Chair, Africa Research Group, Murdoch University, Western Australia and Prof. Geoffrey Bolton is Emeritus Professor, Murdoch University. 2. Gajigo O. Mutambatsere E. Ndiaye, G.* (2012) Royalty Rates in African Mining Revisited: Evidence from Gold Mining Africa Economic Brief Volume 3 • Issue 6 p 1-11. 3. The Australian dollar is at present of similar value to the US dollar. 4. Lawrence Consulting (2012) Economic impact of resources sector on the Queensland economy 2011/12. Queensland Resources Council. Brisbane, Queensland, Australia. 5. Gray G (2010) Resourcing the future. National resources sector employment taskforce report July 2010. Commonwealth of Australia. ISBN 978-0-642-33020-8. 6. Leeuw, P.J.K. (2012) A linkage model for the South African mineral sector: a plausible option. MSc (Engineering) thesis. University of the Witwatersrand, Johannesburg, South Africa. 7. For example, Ti to TiO2, synthetic rutile production, bauxite to alumina and aluminium, Si ore to “Solar Grade Si”, and gold bullion production and the associated minting industry. 8. Barnett R. & Lopez L. (2011) The Western Australian minerals industry. An assessment of knowledge and technology needs and local research capability. Chamber of Minerals and Energy Western Australia, Perth, Western Australia. 9. Mtegha, H.D. (2005) Towards a minerals policy for the Southern African Development Community (SADC). MSc (Engineering) thesis. University of the Witwatersrand, Johannesburg, South Africa. See also reference in endnote 6. 10. Note that rising electricity prices in South Africa are strongly negatively impacting the established ferrochrome industry. http://www.miningweekly.com/article/south-african-ferrochrome-profitability-down-to-zero-danko-konchar-2012-09-06 accessed December 10th, 2012.